We love the gorgeous beach! We have come to this very beach since being teenagers. We have the most incredible memories of our times here at the Gulf. When we had the opportunity to purchase a top quality condo in what we think is the best resort in the Destin area we were thrilled. We want to give other families the opportunity to grow closer together and create fantastic experiences and memories as we have on our vacations to this beach. This beach is included in listings of the top 10 beautiful beaches in the world! To enjoy the beauty of this beach (sugar white sands and emeral water) with our family and to allow other families to enjoy time together, as we do. Our condo is so close to the Gulf you immensely enjoy it. The views at the condo are simply amazing. You are looking at the Gulf of Mexico. 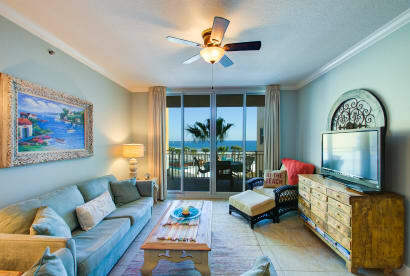 We have done our best to make our condo give you the luxurious beach vacation you yearn for. We added the little extra amenities to enhance your stay. We are proud of the cleanliness of our condo and have gone the extra mile to insure it is well maintained. It will be clean. All linen is quality. We manage by my husband and myself. All linen and kitchen ware is only used in this condo. The amenities at Waterscape are not to be found elsewhere.